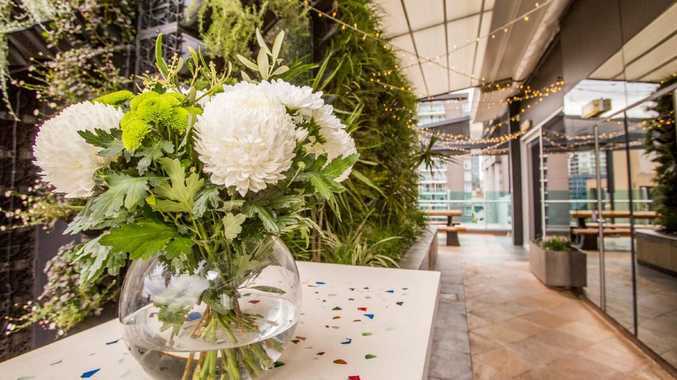 You’d be expecting things to get floral at the Majestic Roof Garden. Recovering from a fun run in Adelaide's CBD, I didn't notice a student trying to get my attention. "Come to our Fringe play?" he asked, excitedly waving a ticket bundle in my clammy face. "Only $10!" What followed was one of life's odd experiences: sitting in the attic of an old terrace with 10 other members of the public, watching four amateur actors (one naked mostly, in a tin bath) perform. Peculiar? Certainly. Memorable? Absolutely. That's the magic of Fringe - anyone can join in - international stars, techno dance artists or a group of budding playwrights. "We're an open-access festival," says Adelaide Fringe director Heather Croall. "Anyone can register an event." With more than 1300 shows to choose from, Heather says the inaugural Yabarra: Gathering of Light ceremony by the River Torrens is a must. Other picks include comedy acts Judith Lucy Vs Men and Hans: Like a German. Or wander in The Garden of Unearthly Delights and see what you find. Here are our top choices for stays when you're there. 2019 Adelaide Fringe runs February 15-March 17. Always a view from an ibis Adelaide window. 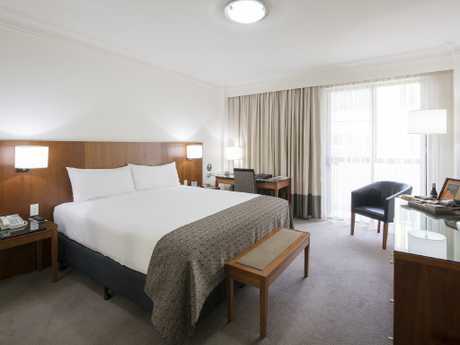 The ibis Adelaide is at a super central location, from which many Fringe events are walking distance. The hotel is adjacent to Rundle Mall (the city's main shopping district) and the Adelaide Oval, Casino, and River Torrens are all walkable. Trams to the seaside suburb of Glenelg are an 11-minute walk away. 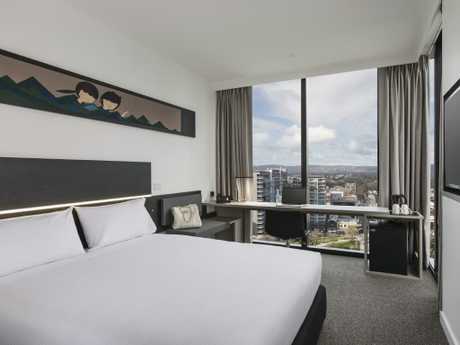 With 311 rooms (each with a view of the Adelaide Hills and a Samsung television), options include a Standard Room, Superior Room (with city views) and a Special Access Room for guests needing additional assistance. If you have the energy after exploring the festival, make sure check out the onsite indoor gym. If you're saving your energy for fringe activities, relax on the balcony in the ibis restaurant or bar with a Barossa shiraz in hand. Best spot for a shiraz at the ibis between performances. The highlight of this 4.5-star hotel is its rooftop. Bedecked with plant walls, as well as city, park and hill views, what better way to enjoy the end of summer? 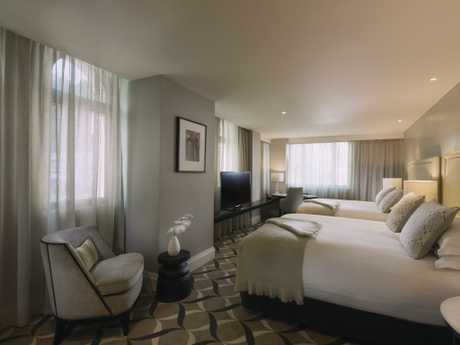 Each room has reverse cycle air conditioning, LCD televisions (with on demand movies) and unlimited Wi-Fi. 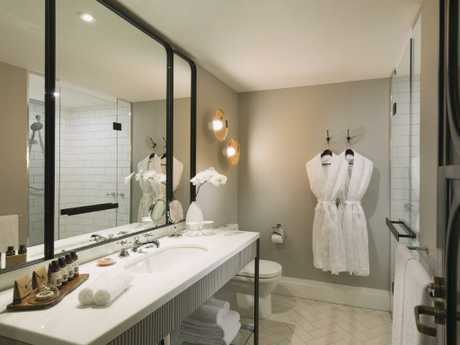 The superior and balcony rooms also have bathtubs in the marble bathrooms. To experience South Australian cuisine, the award-winning onsite restaurant sources all its wines from the state, as well as incorporating seasonal, local and native produce. 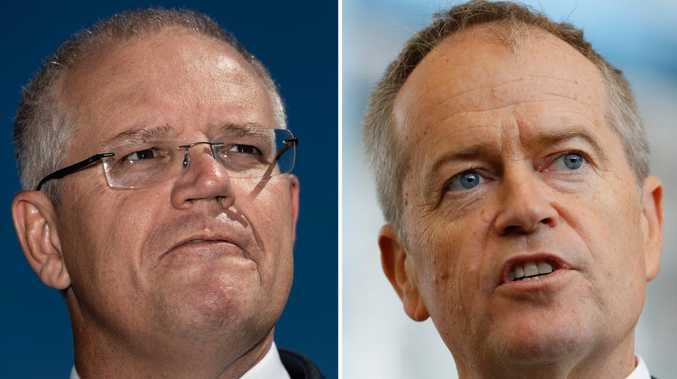 For example, the 'Hop, Snap & Swim' option from the Culshaw's menu features char-grilled 'Paroo' kangaroo fillet, oven roasted barramundi and sweet & sour crocodile ribs. If you're in a rush to get to Fringe events, ask them to make it snappy. The comforts of a classic room at the Majestic. Built in 1934, and opened as a boutique hotel in 2015, Adelaide's latest five-star offering isn't just a place to sleep. In summer, guests can enjoy live entertainment and music at the rooftop bar, which is under a glass-topped al fresco terrace. With 10 different room choices, options range from Superior Queen Room (comes with flat screen smart TV, L'Occitane skincare and Grohe overhead 'rain' shower) to Executive Mayfair King Suite (bath tub, writing desk and lounge area). 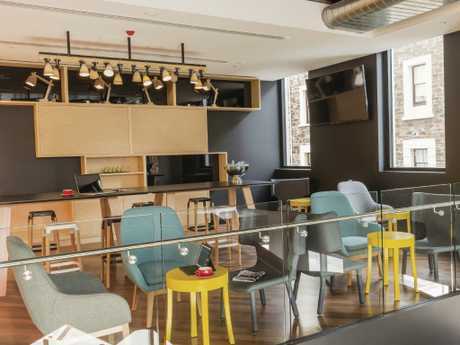 While the Mayfair's trademark Mayflower restaurant is scheduled to be closed until early-March, high tea will still be available, as will be eatery, The Den. It's just a minute walk to Hindley, King William Streets and Rundle Mall, and an eight-minute walk to the River Torrens. The luxuries of a Mayfair king bathroom. Deluxe room at the Mayfair.